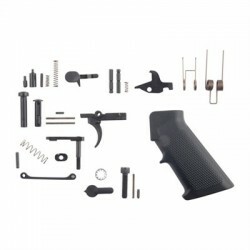 This is a complete AR15 lower parts kit with fire control parts and standard A2 pistol grip. 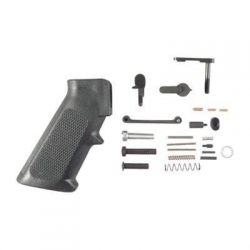 Great for building out that stripped lower receiver. Also a nice thing to have on hand for spare parts. 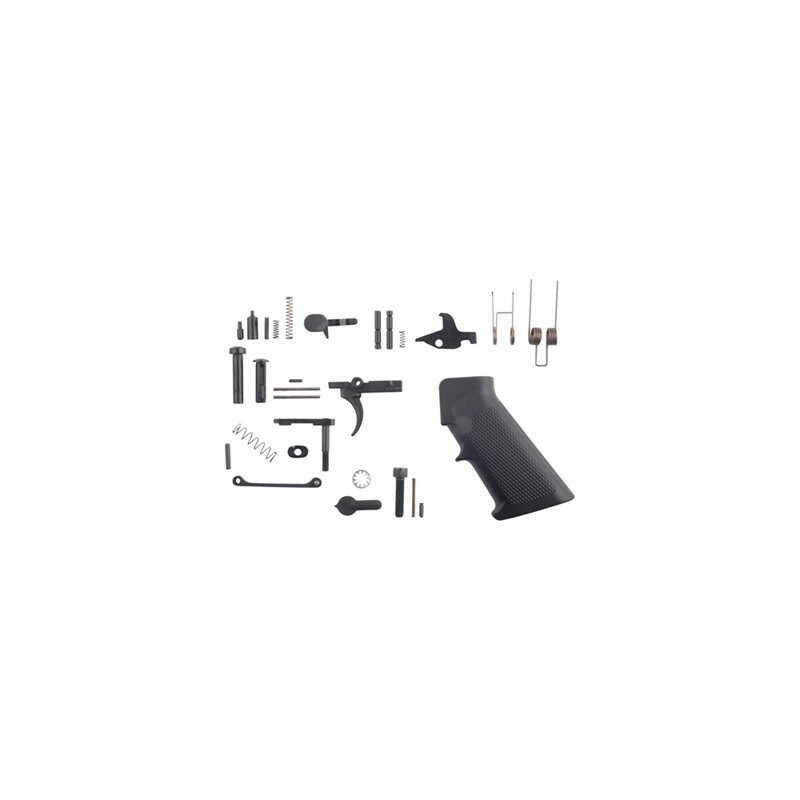 Complete kit contains every internal part needed to complete or rebuild an AR lower receiver. High-quality components are designed to work in coordination with each other to ensure smooth operation. Mil-Spec trigger included offers a conventional, single-stage 6 to 6½ lb. service rifle pull.